TERROR FROM THE DEEP . . . When a plane crashes into the Antarctic ice, exposing an enormous cave system, a rescue and research team is dispatched. Twenty-four hours later, all contact is lost. Captain Alex Hunter and his highly trained commandos, along with a team of scientists, are fast tracked to the hot zone to find out what went wrong. Meanwhile, the alluring petrobiologist Aimee Weir is sent to follow up on the detection of a vast underground reservoir. If the unidentified substance proves to be oil, every country in the world will want to know about it--even wage war over it. Or worse. Start reading Beneath the Dark Ice (Alex Hunter Book 1) on your Kindle in under a minute. 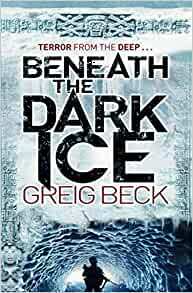 'BENEATH THE DARK ICE - In a word: GRIPPING' --Malcolm Tattersall, Townsville BULLETIN. KK, just finished this book on my Kindle Fire HD and I enjoyed more than I thought I would. After having reading the prologue and then into the story proper I did start having doubts vary early on when I read that our hero was in fact a superhuman hero in that he had incredible lightening reactions (he managed to plucked cup out of the air that sound had dropped and whilst the contents of the cup were still falling through the air he used the same cup to scoop the contents right out of the air), he has superhuman strength and vastly enhanced senses; and this was all due to having been shot in the head where the bullet, lodging in his brain, caused his body to produce certain chemicals/hormones that gave him these superhuman powers. When I read that bit in the first few pages I thought "Oh no, here we go, one of these ridiculous heroes that can pick up a tank by the gun barrel, swing it round and throw it miles whilst surviving a point blank hit from its explosive armament!" However, it wasn't like that at all and didn't get too ridiculous. So what is the story about? A private jet has crashed into the Antarctic with such ferocity that it has opened up a cave complex beneath the ice. A scientific team go in to investigate but are not heard of. 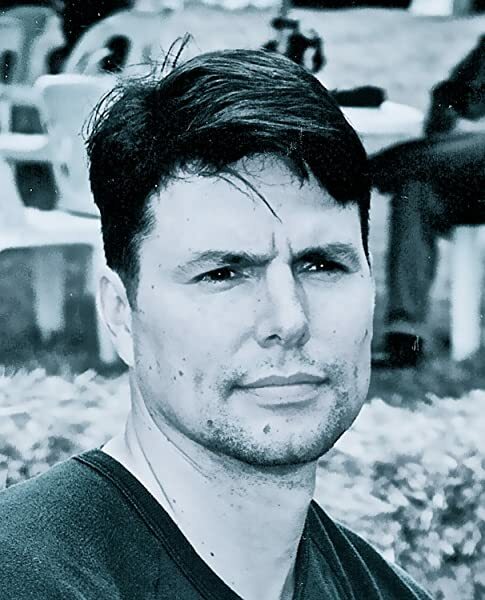 In comes our superhuman hero, Alex Hunter, leader of a team of the elite of the special forces (HAWCS) who leads a rescue/discovery mission. Soon they are hunted by a huge monster, larger than a blue whale that not only has intelligence but a creepy way of luring people onto its menu; it can extend one of its lethal tentacles and morph it into an appearance of any of its previous victims at quite some distance from its body. This tricks people into approaching the 'person' and then they are pounced upon. I enjoyed this book, as I said, a lot more than I thought I did, and I would certainly recommend it if you want a good action-packed read. Will I be getting and reading the sequel Dark Rising (Alex Hunter 2) Yes, actually I will! A note on the Kindle version; flawless! No proplems whatsoever. 5.0 out of 5 starsFar-fetched fun. In a similar vein to Matthew Reilly's Ice Station and James Rollin's Ice Hunt, Beneath The Dark Ice is a rip-roaring adventure guaranteed to keep you turning those pages well into the night. This is pure popcorn entertainment, so leave your brain at home and enjoy the ride. Our hero, Alex Hunter, is a super-human (I told you to leave your brain at home) soldier tasked with accompanying a group of scientists and other skilled people into an ice cavern to investigate the disappearance of a previous group of people. Whilst there they meet various creepy-crawlies as well as being pursued by an old foe of Alex's. The baddies are suitably nasty, the action is frenetic and plentiful and the tension gripping. Greig Beck is a welcome addition to the action / adventure genre and I can't wait for his next book. 5.0 out of 5 starsWhere's the next one? 4.0 out of 5 starsA real page turner, enjoyed it. For his first novel this is a very good start. Thoroughly enjoyed it. I'm a sucker for monster mayhem and this ticked the boxes. Switch off your brain for what could be a novelisation of a unintentionally funny B-Movie. The hero ticks all the classic cliched boxes as does the irritating villain of the piece. You can pretty much cross off the victims before they even enter the cave. Feels like a Clive Cusslar novel with monsters. Perfect for wasting away a few hours, only draw back is these of brain cells along the way. MY KIND OF BOOK, KEEPS YOU GRIPPED FROM THE START! I READ ALL OF MATHEW REILLY'S AND I HAVE ALREADY PURCHASED AT LEAST HALF OF GREIG BECKS WHICH I FULLY INTEND TO THE REST AND PURCHASE ANY BOOKS HE BRINGS OUT CANT WAIT! I bought this as it was recommended by a friend. The writing style is immature and made me cringe as a woman. I like engines and machinery but not as much as the author. The tension does build but not worth the money I paid for it. Read in two sittings. Had to reluctantly put down for sleep. A real page turner with book six, Kraken Rising, looking to be a return to the scene.